Get the kids on board with Lanes, Trains, and Automobiles! 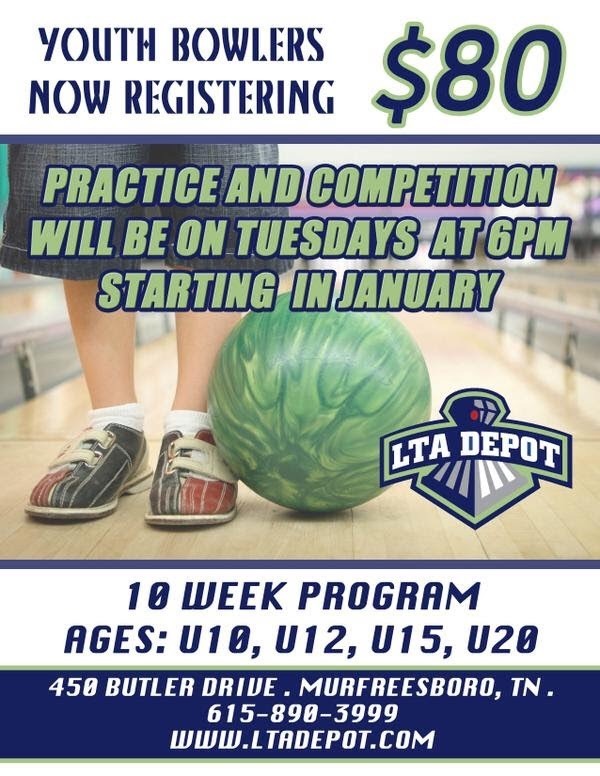 We are now registering for Youth Bowling Leagues. Practice and Competition will begin on Tuesdays at 6 pm in January of 2019. For more info about our 10 week program call 615-890-3999. After making your payment you will need to complete the registration form on the new page.